I enjoy watching the Great British Bake Off and it got me thinking (yes I know….. a dangerous thing). What if the people who were judging the various tasty morsels had a distinct dislike for one type of cake….. let’s say… Cheesecake and would openly say “yuk” when they nibbled it and gave it a low score because it WAS a Cheesecake. Now it could be an absolutely perfect example of a Cheesecake but still received a low score from that biased judge because of it’s Cheesecakey nature. Perhaps these judges were purist bakers and felt that a Cheesecake was not a real “cake” and therefore should be excluded from the competition. Perhaps for them it HAD to be a Victoria Sponge or Fruit Cake that represented the baking world and anything else that deviated from that cakey genre had no right to be in the baking contest. A Cheesecake was deemed the work of the devil and the baker should therefore be punished by giving them a poor score. What if the cake based contest judge hadn’t entered any of their cakes in a competition for many years (living on past glories) and still felt that cakes should be baked using an old cast iron fireplace oven because that’s the way THEY baked them and therefore (in their opinion) the most authentic way of producing cakes. Okay, they might acknowledge that gas and electric ovens speed things up (but they never bothered learning how to use them) – but the most purest way of baking a cake was using a Victorian range oven and preferably in the dark. What if these baking judges were influential and were really vocal about their dislike of Cheesecakes and how, in their opinion, they had no place in cooking competitions or if they were to be allowed, there should be a whole section dedicated to Cheesecakes. I’m sure it would have been pointed out to these judges that Cheesecakes start off in the same way as other cakes… being mixed in a bowl with many of the same ingredients as the other more “conventional” cakes and therefore by definition they were still a cake. But these words would fall on deaf ears – for them a Cheesecake wasn’t a “proper” cake and therefore should not score highly. 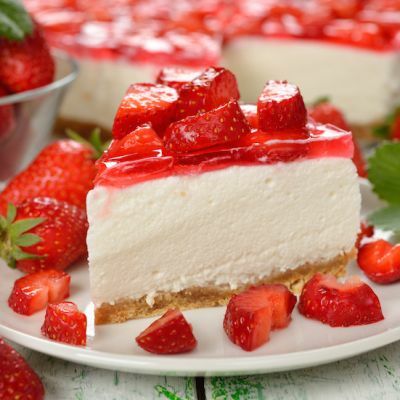 Judges accuse Cheesecake makers of only making that particular kind of cake because they don’t have the skills to bake a “proper cake” – but in actual fact those people who make Cheesecakes have to have good all round skills to put their much loved cake together. They enjoy making Cheesecakes because it makes them happy and its a way of expressing that joy. I feel that judges of cake competitions should not be blinkered and have an open mind when it comes to judging the various tasty morsels that are laid out in front of them – and if a judge has a strong aversion to a particular type of cake then they should not be asked to participate in a cake baking competition again. This entry was posted in Blog, Competition Results, Photoshop. Bookmark the permalink. Now let me think. Me thinks that thou art having a jibe at competition judges!!!! !